ALEXANDRIA, Va. – Javier Siveroni, 48, of Springfield, Va., pleaded guilty today to using his position as a loan officer to help carry out a multi-million dollar mortgage fraud scheme involving more than 15 homes in Northern Virginia. Siveroni pleaded guilty to one count of an indictment charging him with conspiracy to commit wire fraud. Siveroni faces a maximum penalty of 20 years in prison when he is sentenced on Nov. 4, 2011. According to court documents, Siveroni, a former loan officer at the Falls Church branch of SunTrust Mortgage, prepared and submitted false, fraudulent, and misleading mortgage loan applications for unqualified buyers – individuals who lacked the finances, credit rating, or legal status to obtain a certain loan amount. The fraudulent mortgage loan applications contained false information regarding applicants’ employment, income, assets, immigration status, and intent to live in the property as a primary residence. As part of the fraud scheme, Siveroni created, and taught his co-conspirators how to create, fake documents in order to corroborate false information contained in the loan applications. 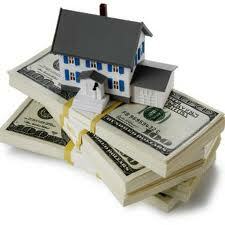 The total amount of mortgage loans approved through the conspiracy exceeded $6.5 million. The total loss attributable directly to Siveroni is over $2.5 million. In related matters, three loan officers have pled guilty for their roles in the alleged conspiracy: Preston Cherouny, 45, of Washington, D.C.; John Leone, 44, of Vienna, Va.; Alejandro Alquinta, 35, of Springfield, Va. Maria Teresa Sanchez, 44, of Burke, Va., and Yolanda Salazar Camacho, 35, of Alexandria, Va., also pled guilty for their roles as loan officer assistants in the conspiracy. This ongoing investigation was conducted by the FBI’s Washington Field Office. Assistant United States Attorney Uzo Asonye prosecuted the case on behalf of the United States. As you look over the reported facts of this case, it’s sad to see that so many could conspire to defraud. Do I blame the perpetrators – Yes! But, when you look more closely we have to evaluate what was happening at the time and how the environment created the opportunity to join together to create such a widespread fraud. As a business ethics and fraud prevention speaker, I see, all to often, that when three things come together: (1) Need; (2) Opportunity and (3) Rationalization – it creates the PERFECT STORM for fraud. To be clear, just because those three things are present does not mean that Fraud will occur, rather it means that the conditions are right for the ethical person to make the unethical choice that can lead to illegal activities and fraud. 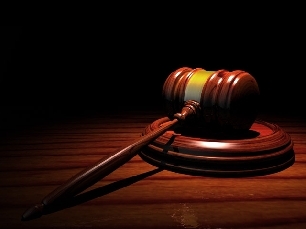 LOAN OFFICER SENTENCED TO 19 YEARS IN PRISON CHARLOTTE, NC—Today, the United States Attorney’s Office for the Western District of North Carolina announced that Michael Pahutski, 48, of Gastonia, was sentenced to 19 years imprisonment to be followed by five years of supervised release. Pahutski was also ordered to perform 200 hours of community service and pay restitution of approximately $3.5 million. 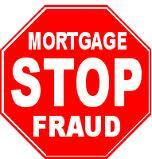 The sentence is the latest step in an ongoing investigation of mortgage fraud schemes carried out around the Charlotte area, which led to the charging of eight individuals with mail, wire and bank fraud conspiracy, money laundering conspiracy, and related charges in March 2008. The investigation also resulted in the trial of closing attorney and co-defendant Victoria Sprouse in March 2009. Pahutski pled guilty prior to trial, without the benefit of a plea agreement, to all twenty-one counts in the indictment then pending against him. Joining the U.S. Attorney’s Office in making today’s announcement are Jeannine Hammett, Special Agent in Charge of IRS-Criminal Investigation Division; Chris Briese, Special Agent in Charge of the Federal Bureau of Investigation, Charlotte Division; Inspector In Charge of the U.S. Postal Inspection Service, Keith Fixel; and Wayne Goodwin, Commissioner, North Carolina Department of Insurance. A federal indictment charging Michael Pahutski with mortgage-fraud- related offenses was originally filed in August 2007, followed by a superseding indictment adding charges and five other defendants in March 2008. To date, all six of those defendants have been either convicted at trial or have entered pleas of guilty. The charges represent the results of a local investigation which stemmed from the detection of an original mortgage fraud scheme in September 2002, and focused on a group operating in and around the Charlotte area. The indictment alleged, and the evidence presented at the sentencing hearing and elsewhere, showed that all the defendants participated in a series of mortgage fraud schemes involving more than $20 million in mortgage loans and hundreds of houses in Charlotte-area neighborhoods. The defendants included Pahutski who served as a loan officer, as well as a closing attorney, a real estate appraiser, another mortgage broker, and two realtors. The indictment also identified two other attorneys, three home builders (including one national homebuilder), and several real estate investors as co-conspirators in these schemes. One of the banks victimized by the schemes closed its doors in mid-2007 after 103 years of business in large part due to the scheme. The indictment alleged that Pahutski participated in a “flip” mortgage fraud scheme where houses were purchased through fraudulent mortgage applications and use of other false documents. Pahutski was originally indicted in this case in connection with a scheme involving closing attorney Victoria Sprouse and real estate investor Stephen Hawfield, in which approximately 210 houses were purchased in a “flip scheme” through fraudulent mortgage applications to nBank for more than $15 million. detained as a flight risk. The case was investigated by Special Agents of the FBI, Charlotte, Special Agents of the IRS-CI, U.S. Postal Inspectors, and criminal investigative personnel of the NC Insurance Commission. The case was prosecuted by Assistant U.S. Attorneys Kurt W. Meyers and Jenny Sugar of the U.S. Attorney’s Office, Criminal Division, Charlotte, NC, as well as former Assistant U.S. Attorney Matthew Martens. If you have knowledge of any of these who were involved in this massive scheme…please feel free to share your insights. A Plano, Texas, man, who has admitted running a fraudulent investment scheme from 2004 through July 2009, will enter his guilty plea before U.S. Magistrate Judge Paul D. Stickney on May 18, 2010, to felony offenses related to that crime, announced U.S. Attorney James T. Jacks of the Northern District of Texas. Brion Gary Randall, 48, has signed documents, filed with the Court, pleading guilty to an Information charging one count of mail fraud and one count of bank fraud. Each count carries a maximum statutory sentence of 30 years in prison and a $1 million fine. According to filed plea documents, Randall worked as an investment advisor from 2004 through July 2009. During part of that time, he operated, and owned in part, 2Randall Consulting Group, LLP and also owned part of Titan Home Theater, LLC, which designed and installed commercial and residential audio/visual systems. According to a complaint filed by the U.S. Securities and Exchange Commission against Randall and 2Randall in August 2009, the Financial Industry Regulatory Authority (FINRA) suspended and fined Randall for improperly exercising discretion in customer accounts without prior written permission. That case is currently pending. From 2004 through July 2009, Randall raised more than $6 million from 30 investors through a scheme in which he caused persons to invest in a number of short-term loan participation programs, which in fact, did not exist. He used investors’ funds for his own benefit and not for purposes he represented. For example, Randall represented that he was pooling money in accounts at Chase Bank and AllianceBernstein for investment in a variety of short-term loan participation programs. Randall represented that an investor’s money in 2Randall Consulting’s account at Alliance and Chase was held in a non-taxable escrow account and fully liquid, with the investor able to withdraw his money at any time. He represented that the 2Randall consulting account at AllianceBernstein had a balance ranging from $25 million to $29 million, and that he had also invested millions of dollars of his own money into the accounts. In reality, however, the Chase Bank and AllianceBernstein accounts were nonexistent. To further the scheme, Randall created and distributed fraudulent documents to investors, including bogus Chase Bank and AllianceBernstein account statements. He also created bogus 2Randall Consulting accounting statements and portfolio summaries. In meetings with some investors, he would display a false and fictitious computer screen shot of either the Chase Bank or AllianceBernstein account which would show the investor’s money on deposit. Randall also represented to investors that they could invest in short-term loan participations, usually lasting 45 to 90 days and returning a high rate of interest. He sold loan participation programs in 1) Small Business Administration (SBA) loans; 2) Titan Home Theater project completion loans; and 3) loans to acquire real estate in Galveston, Texas. For the SBA loans, Randall falsely represented to investors that they could participate with 2Randall Consulting in a short-term loan to a local company seeking an SBA loan. Randall represented that the short-term loan would provide sufficient capital to enable the company to obtain the loan at a discounted rate, and once the SBA loan closed, the company would return to 2Randall Consulting and the participating investors the principal plus 10 percent. He represented that the companies receiving the loans were reputable local businesses, including 84 Lumber, General Packaging Corporation, PerotSystems Vent-A-Hood and Richardson Bike Mart, businesses where Randall’s father had an established relationship. Randall represented that participating in an SBA loan participation program was low risk and that an investor could only lose his money if the company declared bankruptcy during the 45-90 day term of the loan. Randall knew that no such SBA loan participation agreements existed. With regard to the Titan Home Theater project completion loans, Randall represented that investors could participate in short-term loans to Titan enabling it to complete a number of commercial projects, and that upon completion of the projects, Titan would return the principal plus up to a 22% return. Randall falsely represented that Titan was a subcontractor on several commercial projects including projects at Southern Methodist University, the Bush Library and the Dallas Cowboys stadium. Randall also represented to investors that they could participate in short-term loans enabling him to finalize the acquisition and sale of real estate in Galveston. Randall promised that on closing, he would return the investor’s principal plus a sizeable rate of interest. As a further part of his fraud, Randall obtained loans from financial institutions by submitting forged signatures and false and fraudulent documents. The plea documents note that Randall obtained five loans, from Bank of America, Texas Capital Bank and Wells Fargo, that all defaulted, causing a total loss to these financial institutions of nearly $875,000. The question that I often get asked in seminars I conduct is: How can someone with reasonable intelligence get caught up in such a scam? Answer: They get caught up in the PIT. “P” – PROMISE – The first step to falling into a scam (especially a financial scam) is the “promise”! “I” – The second part of falling into the scam is the – ILLUSION! “T” – In the PIT the third and last component is TRUST. Combine the three components and you find victim investors falling into the “PIT” as I call it. 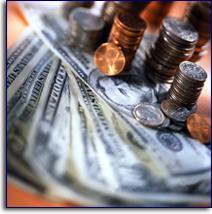 When some one promises a 22% return – that PROMISE in and of itself is a warning sign that something is amiss! It almost makes no difference what else might take place, the unreasonable promise of a return is a clear indication that you might be a fraud victim. Funny, however, it seems the more focused someone is on getting something that most people can’t have the greater likelihood they will fall prey to a scam artist. Every choice has a consequence and in this case Randall will have a long time to think about his fraud and the impact it has and will have on his life and the lives of countless others. If you’re a victim of Randall’s fraud, I’d appreciate your comments on what took place that got you hooked. Perhaps your comments will help others avoid the consequences of the PIT! SUSAN A. CURTIS, 48, her husband GARY J. STOCKING, 43, both of Naugatuck, and CURTIS’ former husband, KEVIN W. CAFFREY, 45, of Wolcott, with one count of bank fraud and one count of conspiracy to commit bank fraud. The indictment alleges that CURTIS was employed in the Property Services Division of Webster Bank with responsibilities that included negotiating and managing bank property leases where Webster Bank was a landlord or tenant. The indictment further alleges that CURTIS, STOCKING and CAFFREY established two companies called New House, LLC and Equity Realty, LLC, which CURTIS falsely represented to Webster Bank’s Vendor Management Department were landlords, an exempted category for due diligence and annual review. As part of the alleged scheme, CURTIS submitted paperwork to Webster Bank’s Accounts Payable Department in which she falsely represented that New House and Equity Realty were due a fee in approximately 109 real estate related transactions involving 67 properties. As a result, Webster Bank made payments of approximately $5.04 million to New House and Equity Realty. In addition, the indictment alleges that CURTIS caused a landlord, who was a lessor of property leased to Webster Bank, to send approximately $703,620 in lease improvement payments directly to CURTIS. CURTIS and STOCKING are alleged to have altered the checks from the landlord to make them payable to Webster Bank c/o Equity Realty, and then deposited the checks to an Equity Realty account at another bank. The indictment also alleges that CURTIS falsely represented to other landlords or their counsel, who were dealing with Webster Bank, that a $450,000 check for property improvements should be paid directly to Equity Realty c/o Webster Bank. CURTIS and STOCKING then deposited the check into the Equity Realty bank account. Finally, the indictment seeks the forfeiture of an interest up to an amount of $456,790.79 in real property in East Hampton, Connecticut, three automobiles, two Harley Davidson motorcycles, a Steinway piano, and $746,977.03. If convicted, each of the defendants faces a maximum term of imprisonment of 30 years on each count. Keep in mind…an indictment is not a conviction and all parties are considered innocent until proven guilty. Having been there (not proud of what I’m getting ready to say), but prison is no fun. But, being ordered to pay $46 million in restitution – well…that’s a sentence that is impossible. According to the US Attorney’s office, Lila Rizk, a former state-licensed real estate appraiser was sentenced to three years in federal prison and ordered to pay more than $46 million in restitution for her role in a massive mortgage fraud scheme that caused tens of millions of dollars in losses to federally insured banks. Lila Rizk, 43, of Rancho Santa Margarita, received the three-year prison term after her conviction last summer on conspiracy, bank fraud and numerous loan fraud charges. The evidence presented at Rizk’s trial last summer showed that she was part of a wide-ranging and sophisticated scheme that obtained inflated mortgage loans on homes in some of California’s most expensive neighborhoods, including Beverly Hills, Bel Air, Holmby Hills, Malibu, Carmel, Mill Valley, Pebble Beach and La Jolla. Members of the conspiracy sent false documentation, including bogus purchase contracts and appraisals, to the victim banks to deceive them into unwittingly funding mortgage loans that were hundreds of thousands of dollars more than the homes actually cost. Lehman Brothers Bank alone was deceived into funding more than 80 such inflated loans from 2000 into 2003, resulting in tens of millions of dollars in losses. The evidence presented at trial showed that Rizk profited by collecting hundreds of thousands of dollars in fees for providing inflated appraisals in the scheme. STOP – TAKE NOTE: Crime doesn’t pay. Rizk gained hundreds of thousands of dollars in fees – but now she’d ordered to pay $46 million in restitution. OUCH! Her appraisals typically valued the homes three times higher than what the homes really cost. In order to supposedly justify these inflated values, Rizk used “comps,” or comparable homes, that were far bigger, more luxurious, and in better neighborhoods than the homes she appraised. Once she had inflated a few dozen homes, she then used those homes as “comps” to supposedly justify inflated prices for homes later in the scheme. Joseph Babajian, of Los Angeles, a real estate agent, who is scheduled to be sentenced on February 22. FINAL NOTE: You have to know that those who are awaiting prison must be quaking in their boots…as the restitution factor precludes the practicality of any reasonable life following prison. You are currently browsing the archives for the bank fraud category.